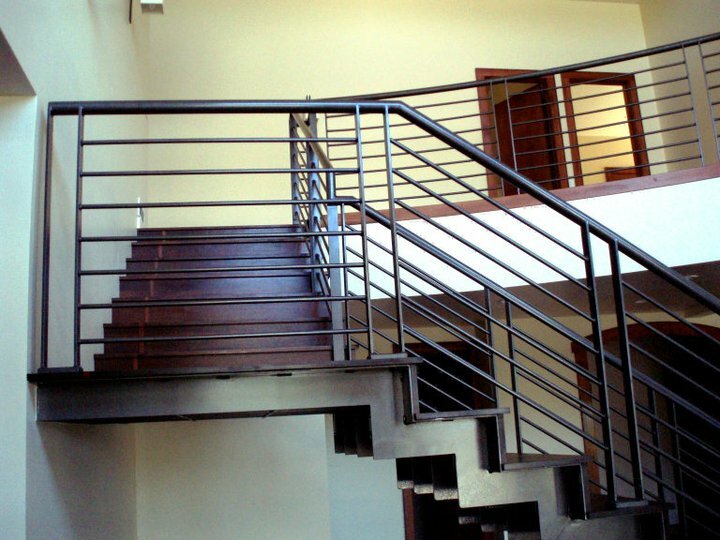 Stairs hung in space with no columns or posts. 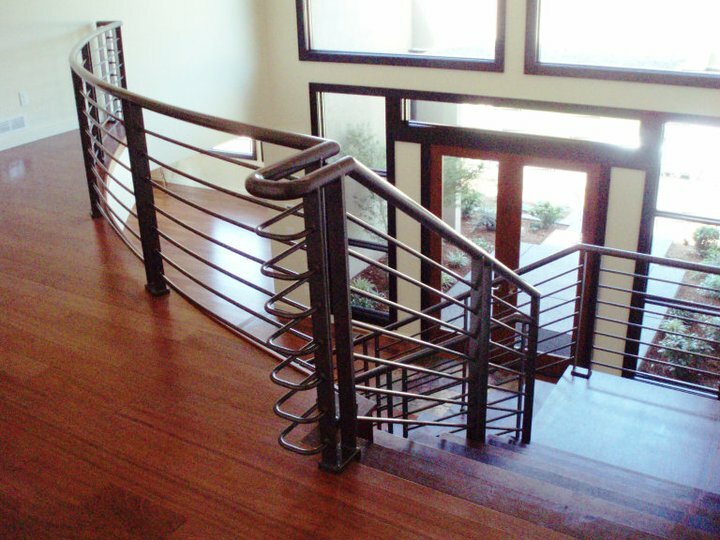 This staircase began as a napkin-design, was transformed into AutoCAD, then hit the Pro Weld welding floor until it was fabricated by experts ready for install. 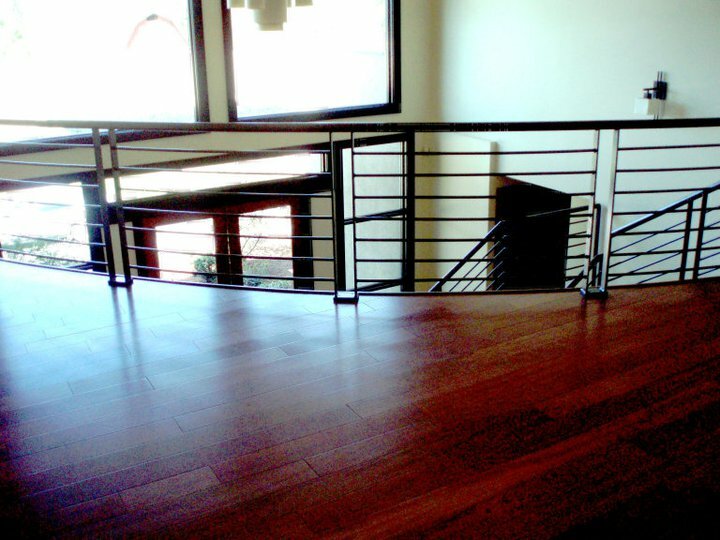 Pro Weld’s team brought enhanced the design with sleek edges, modern fitting for the hardwood and beautiful nearly seamless welds. 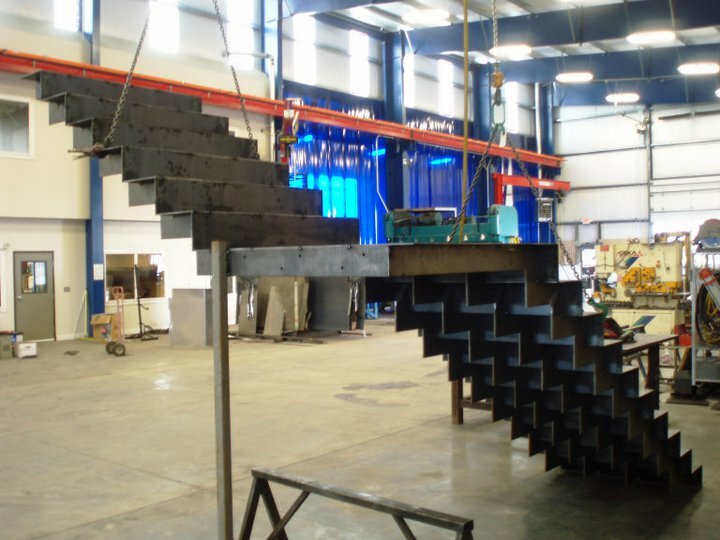 Construction of the zig zag, floating staircase at the Pro Weld facility. 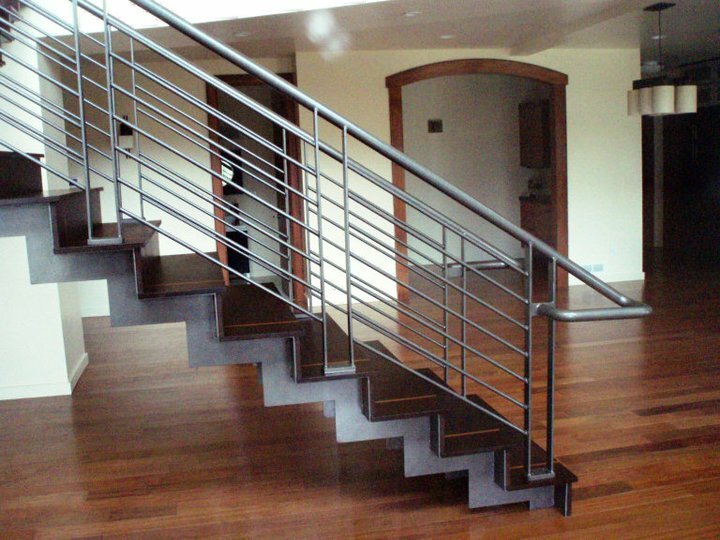 The contemporary style of this staircase is a design sought out for both residential and commercial applications. 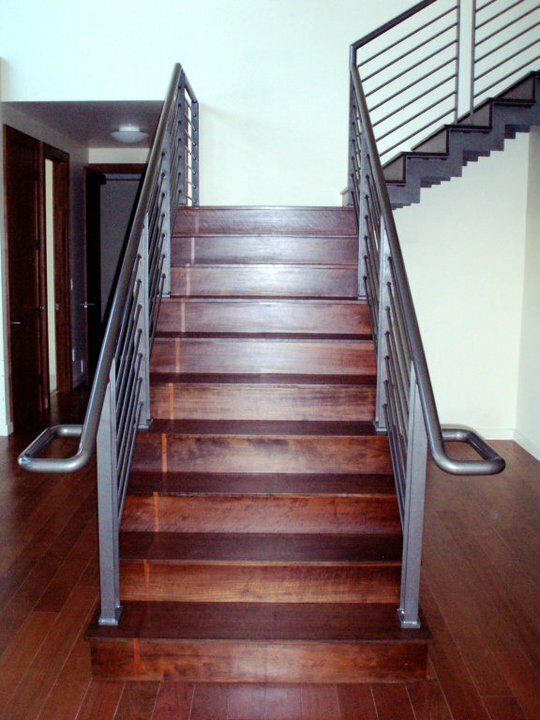 Stairways are a great way to accent an area, or wall while allowing for a modern and simplistic design. 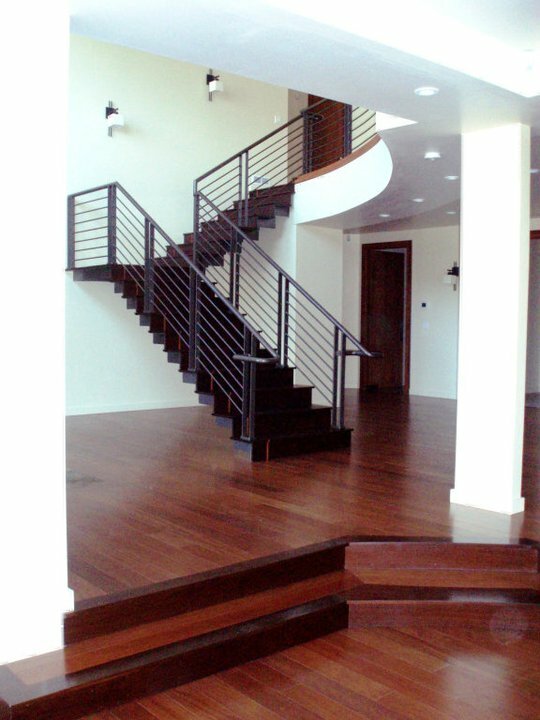 The “floating” look is stunning, and a stylish way for owners to incorporate innovative design with function. 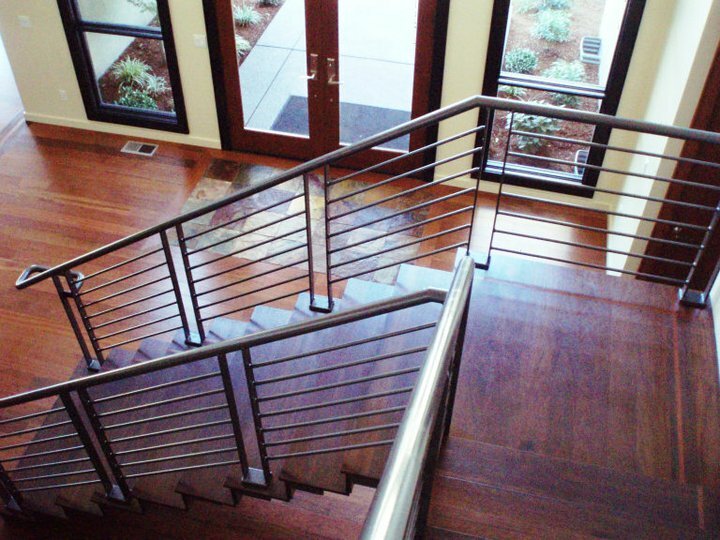 Homeowners and commercial builders can easily add a string of LED lights to illuminate the floating metal steps, and steel handrail. 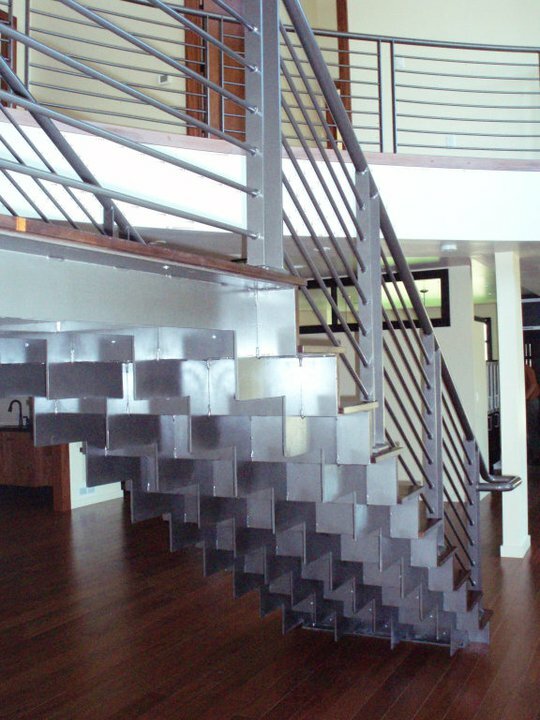 Floating metal stairwells often become a center piece as it connects lower levels to upper level floorings. 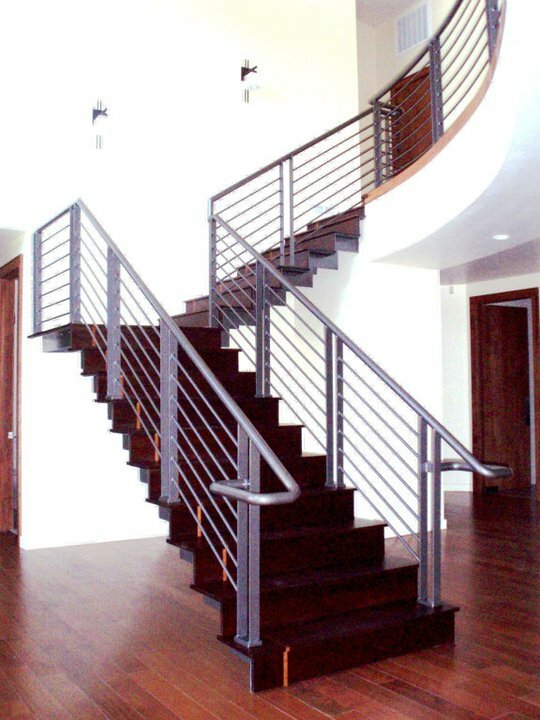 This modern and classy type of “suspended stairs” are a great statement of modernity and open-space to each area they are utilized.